Two twentysomethings drive south from Chicago trying to escape bad weather in the mountains only to face bad weather karma in a Motel 6 parking lot. Sure, they may leave the light on for you, but where are the snow plows? Life lessons are shared and salient inclement-weather-related questions are answered in this story from our February 2013 show, Close Call. Zoe Lehman is a glitter enthusiast, public health worker bee, glutton for sunshine and lover of stories. She can almost always be found with a smile and a cup of tea. Zoe can also be heard on our very first podcast,”The Operating Room,” and our 19th podcast, “All the Cars Are Facing Me (or How Not to Learn to Drive in Chicago.” She is a member of our Advisory Board. Homepage photo courtesy of Chris Dodson via Flickr. 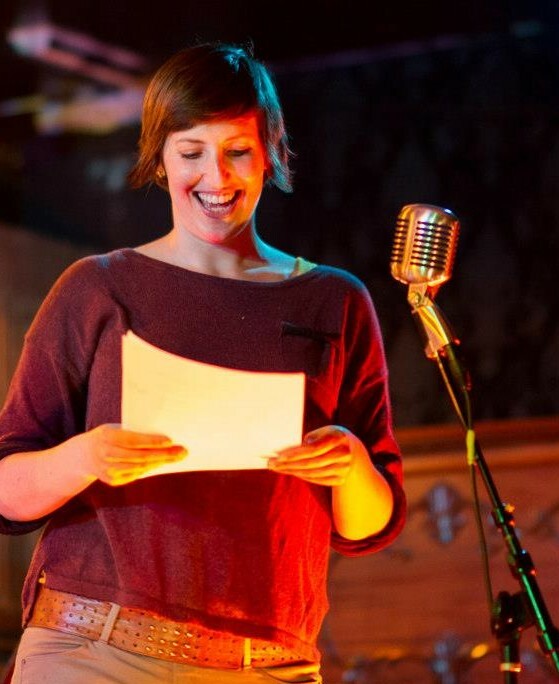 Tags: actual cafe, Close Call, driving, Motel 6, Oakland, podcast, san francisco, snow, spokespeople, spokesppl, storytelling, storytelling event, zoe lehman. Bookmark the permalink.